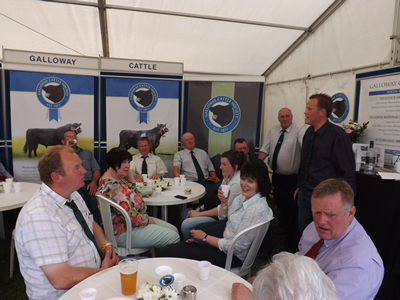 Vice Chairman Andrew Hunter Blair auctions off “slaves” at the recent Royal Highland Show to raise funds for the Group’s overseas trip to Germany. £371 was raised by 5 “slaves” for the 2014 trip. More “slaves” will be auctioned off at our National Show to be held at Border Union Show on Saturday 27th July. Contact the office for more details.